Paul is a specialist child law advocate who, with twenty years experience, brings to his cases a highly approachable style combined with a determined and forceful manner in court. Paul practices exclusively in cases involving children where he has an established reputation as a tenacious advocate, committed to achieving the best outcomes for his clients. He has been described by his clients as sympathetic and insightful, able to listen and give clear, focused and pragmatic advice. His particular strength lies in advancing his client’s case in court in a determined and compelling manner. In handing down judgment in a complex and protracted dispute between parents in which Paul brought the challenge on behalf of the aggrieved parent, the trial Judge remarked on his skills in cross examination: “whilst fair and courteous, like a surgeon with a scalpel, he has enabled this court to cut through the lies, distortions, the fantasy, the deception and enabled the court to see the truth. This has, in my judgment, been an absolutely vital operation for this family, because its reconstruction must be built on facts, not fantasies.” (Re A & B (Children) (Fact Finding)  EWCCB72 (Fam) – HHJ Tyzack QC). This typifies his approach. Paul often appears against leading counsel. He will not hesitate to take matters on appeal where required. He is frequently instructed in the Court of Appeal. A range of his reported cases appear on this website. He has a commanding and authoritative knowledge of current law and practice. He is a contributing editor to Rayden and Jackson, the leading practitioner’s textbook on family law. He has been appointed as Special Advocate to the Court of Appeal. He presents lectures and seminars on topical issues of child law. He accepts instructions on a Direct Access basis. Paul’s practice focuses on acting for parents who are often locked into fraught and highly contentious residence and contact disputes. These cases frequently involve allegations of domestic and child abuse, whether emotional, psychological, physical or sexual, including aspects of parental estrangement and alienation. He has been involved in a number of leading high court parental alienation cases, presenting with the most complex issues. He has the experience to bring into such cases wider professional expertise where required, with instruction of experts within the field of various aspects of abuse, including child alienation. 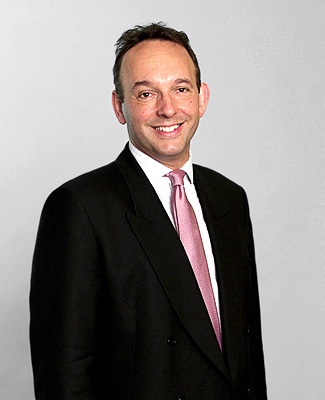 As a member of the 4PB international child law practice group, Paul acts frequently for parents concerned with children moving across international borders and involved in international jurisdictional disputes. He is experienced in applications made by parents to relocate, domestic and international, where he takes on cases across the Family Court, often concluding at High Court level. He frequently appears in the High Court in inherent jurisdiction, wardship, child abduction, Hague Convention and non Hague convention, and Brussels IIR proceedings. His expertise crosses over from representing parents to also acting for children and local authorities. Examples of the cases he takes on include Re TC and JC (Children:Relocation)  EWHC292 (Fam) – securing a parent permission permanently to relocate, in that case to Australia, and Re L (Children) (2017) EWCA Civ 441, in obtaining orders for the return of abducted children, in that case from Romania. A number of Paul’s cases have attracted media interest. He has experience in securing press restriction orders as well as working with the media where required to obtain media publicity orders. The recent recovery of a young child from Spain, widely reported across the media, is one example (The London Borough of Barking & Dagenham v Jessica Richards & Elliana Shand  EWHC 2863 (Fam) 2017 WL 05282158). Across the wide sphere of public law work, Paul acts for parents, grandparents, competent children, Guardians and Local Authorities. His focus is on medical cases involving allegations of non accidental injury, including infant deaths and near fatal incidents. He acts frequently in cases with mental health issues. He has acted in a number of cases involving allegations of fabricated or induced illness. His public law practice takes him into the Court of Protection where he represents private individuals and public bodies, drawing from his wealth of experience within the parallel best interest jurisdiction. He has expertise in adoption and special guardianship, with a focus on Human Rights’ arguments. He has mounted and resisted applications for revocation of Placement Orders and Adoption Orders, appearing in the High Court case of Re AW (a Child: Application to revoke Placement Order: Leave to oppose Adoption) 2013 EWHC 2967 (Fam). He is adept at dealing with expert witnesses, including cross examining experts where challenge is required. He was recently instructed for a parent in the lead case in alcohol and drug testing (Re H (A Child) (Hair Strand Tests) 2017 EWFC 64).